A courtside reporter is hilariously interrupted by Kevin Durant while trying to provide some pre-game commentary. 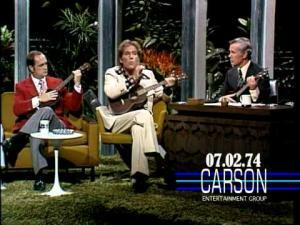 George Segal teaches Johnny Carson and Bob Newhart how to play "Rufus Rustus Johnson Brown" from "California Split" on the ukulele on "The Tonight Show" in 1974. 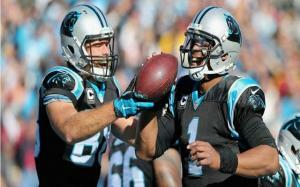 A funny Carolina Panther's radio call of Greg Olsen's touchdown is guaranteed to amp up anyone. 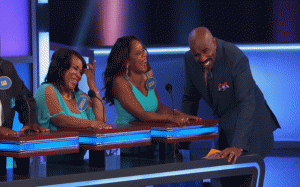 jimmy kimmel's 'i told my kids i ate all their halloween candy' 2015 edition. a coaches expletive rant towards his defensive safety is picked up by a nearby referee's micropne. 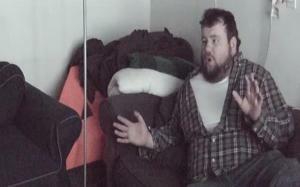 a guy with a very thick boston accent has an encounter with an uncommon fish during a fishing trip. 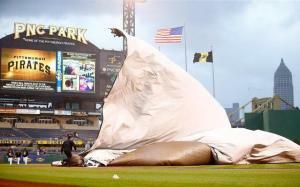 Groundskeepers at an MLB game are hilariously swallowed by a tarp being set up for a rain delay. 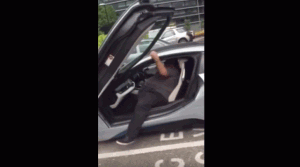 a prankster receives a swift knockout near the end of this 'od' prank gone wrong. A guy proposes to his girlfriend in the drive-thru of a McDonald's and gets the rejection of a lifetime.